Can your website be more effective? If your website isn't performing as well as you'd like in online marketing, it might be time to change some things. But what to change? 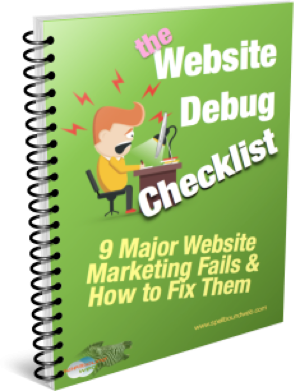 Get a copy of our Website Debug Checklist. What's a Debug Checklist ? You read down a list of possible points that may be a bug and compare each point to what you have in place. If you find that one of the points is "out" with your website, then read the solution and correct it.